We are now facing a situation where the elderly are increasing in numbers and living longer while the number of care givers is rapidly decreasing. The health needs of the elderly differ from the younger population.They need comprehensive care that, besides routine medical care tailored to the elderly metabolism, also must include social, psychological and functional interventions to improve their quality of life . 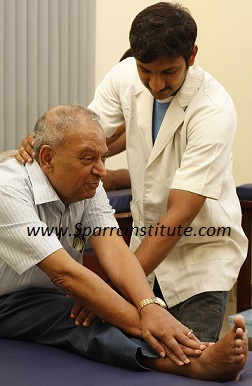 To meet this acute need of comprehensive geriatric care, Sparrc Institute has formed a team – unique combination of Geriatrician, Physiotherapists, Nutritionists etc.